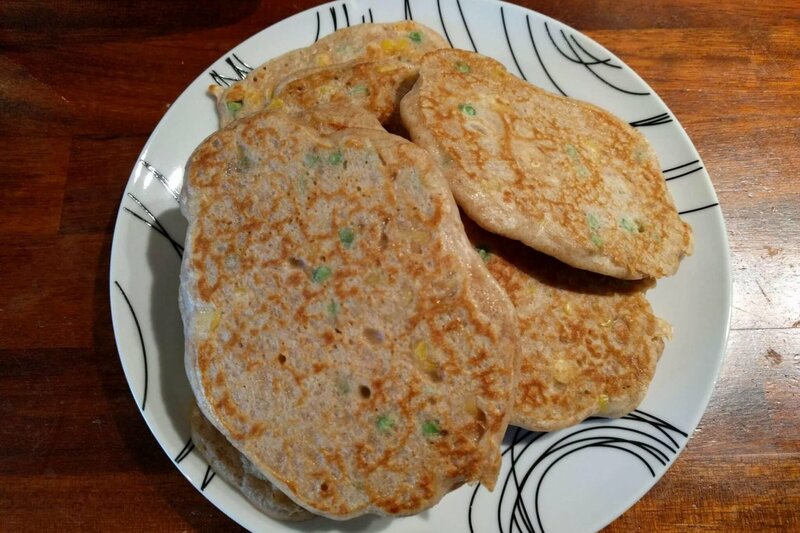 Pea and sweetcorn pancakes has been a staple of mine since I was little! It was my mum’s way of getting us to eat a bit of veg, and it was relatively quick and cheap too. I could eat them til they came out my ears. 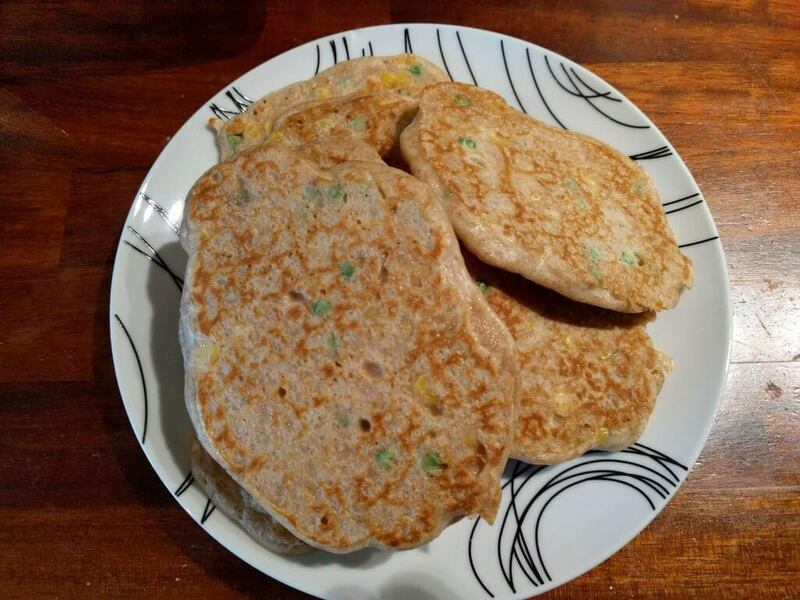 These pancakes are best when the batter is a bit on the thick side, as opposed to your usual pancakes on Shrove Tuesday. 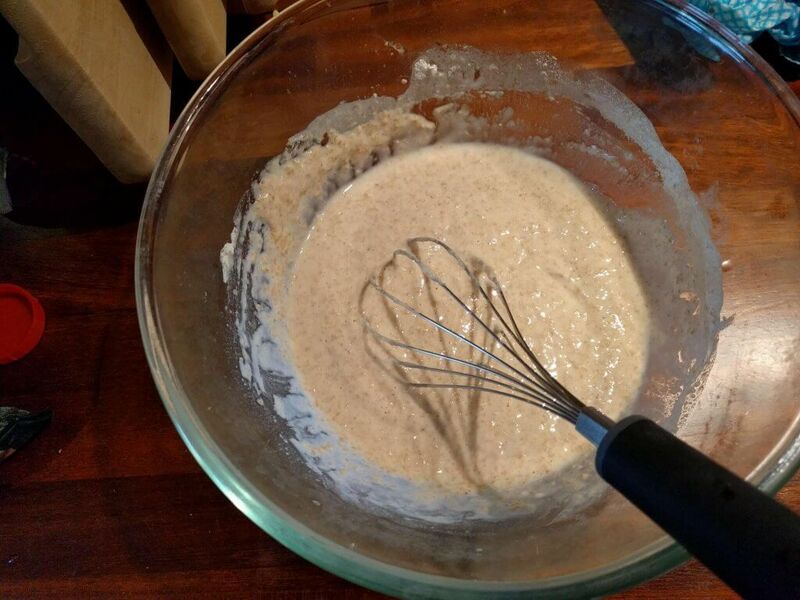 I use 2 eggs, add in a good slug of wholemeal flour, and some milk and stir it until it is well mixed and thick. I then add in a couple of handfuls of peas and a couple of sweetcorn too. Again, I’m lazy and I don’t cook or defrost them before adding them to the batter mix, but you can do if you want. My view is they cook when you’re cooking the pancakes. Plus it saves washing another pan! 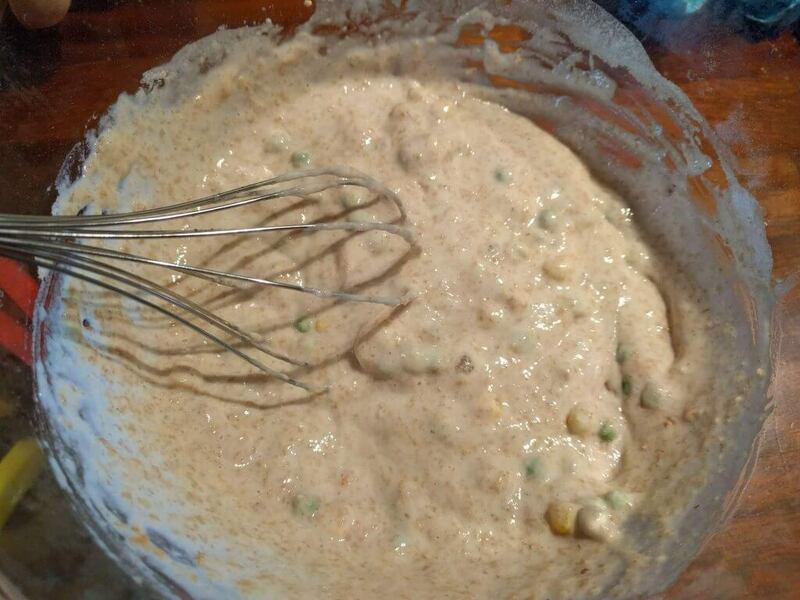 If the batter mix looks too thick now the peas and sweetcorn are in there, add a bit more milk to the mixture. 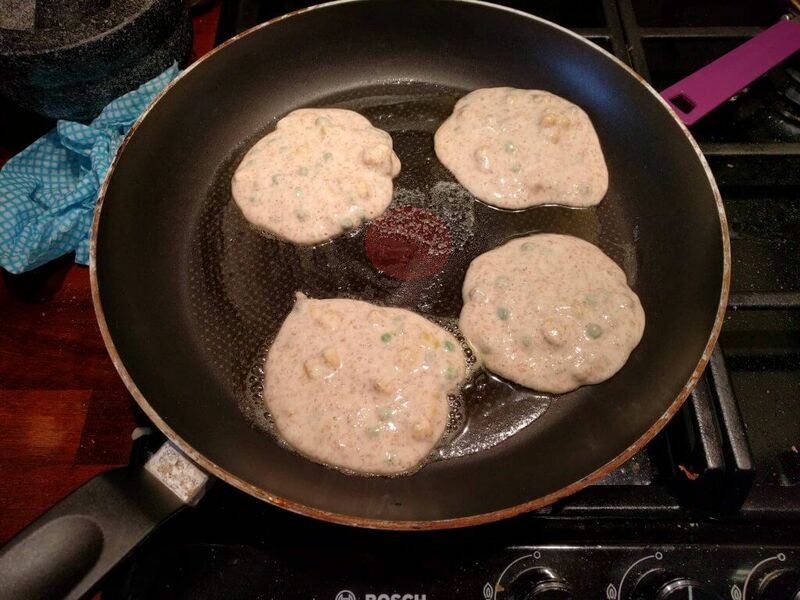 I add a bit of butter to a frying pan, and then usually cook 3-4 small pancakes at a time. They can be eaten on their own (as I do), or with anything else you want really. This is a meal we all eat together, and Chris likes to have bacon with them…next time I might try cooking them with bits of cooked and chopped up crispy bacon in the pancakes to see what that’s like. 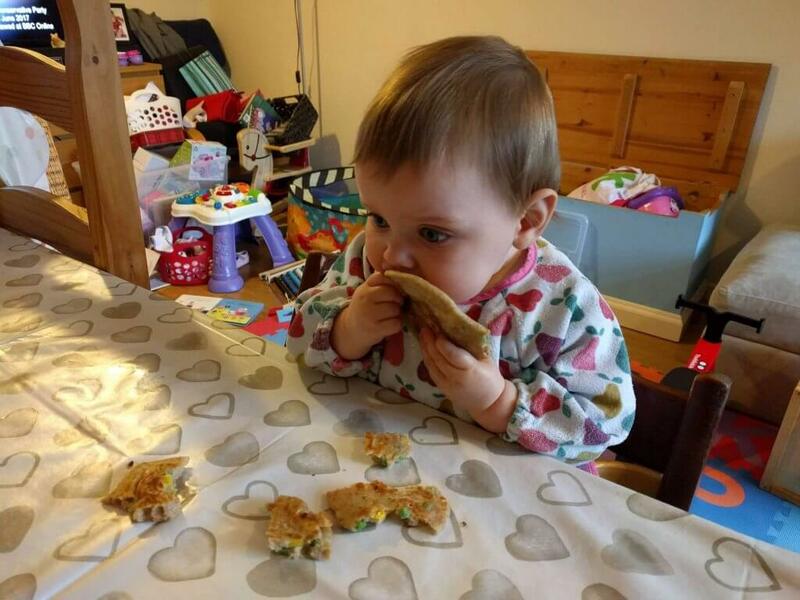 Are there any meals you eat now with your children that you used to have when you were a child? Oh I like this idea. I always have eggs to use up and a supply of peas and sweetcorn. They freeze really well too! These are such a great idea. I haven’t made these before but I think I will soon. My girls would love them.